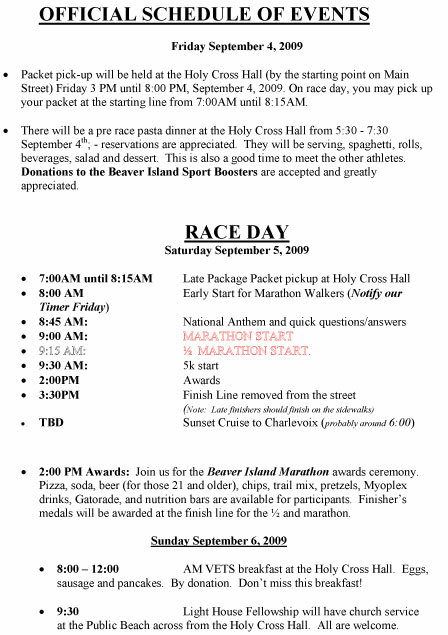 Today, Saturday, September 5, 2009, was the first ever Beaver Island Marathon. The opportunities to run included a 5K race, a half-marathon, and a full marathon. The day started out nice, sunny, and cool, but the temperature began to increase as the day progressed. The event was a huge success for the Island with an estimated 700 visitors including runners and family of the runners. The race course for the half marathon started at the public beach parking lot. The runners ran to Whiskey Point and back to Daddy Franks hill. Then they ran out Donegal Bay Road until it became Allen's Lakeview and continued on until they came to the end of the road. 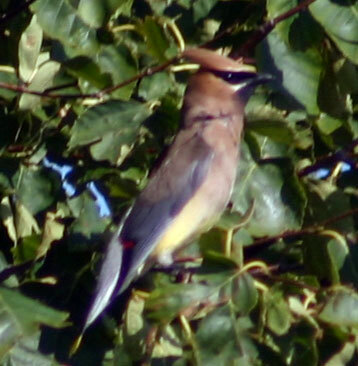 They then ran into the woods on Buddy Martin's Trail until they reached the top of the bluff. They then turned around and ran back on the same pathway as coming out. When they came down the Daddy Franks hill, they turned left and ran back out to Whiskey Point, turned back around and ran around the harbor back to the public beach. This constituted half of a marathon. The full marathon runners had to run that route twice. Everyone who participated should be considered winners, but those that were the men's overall winners were: Rich Power 218 from Rochester won first place, Phil Kauppi 185 from Mt. Pleasant won second place, and Christopher Braun 157 won third place. The women's overall winners were: Karen Kirt 188 from Lake Leelanau won first place, Stacey Roberts 223 from Leland won second place, and Jobie Neucks 208 from Holland won third place. Male over forty winners were: Bill Fix 166 from Comstock Park won first place, Ron O'Connor 211 won second place, and Ron Gregg 175 from Clarksville, TN won third place. (Ron is in bold because he was raised here on Beaver Island.) In the female over forty group, the first place finisher was Michelle Randazzo 219, followed by second place Kathryn Williams 246, and third place Mimi Ransick 220. There will be more story and lots of pictures posted later. The raffle of the Talking Threads Quilt raised enough money to make donations to three different organizations. The Beaver Island Fire Department received $700 toward the cost of new turnout gear for the new firefighters, Beaver Island EMS recieved $700 toward the purchase of equipment for emergency fluid administration, and the Beaver Island Food Pantry received a $700 donation as well. Great job, Talking Threads! Dianne McDonough asked that this information be posted on the website today to help clarify the situation. 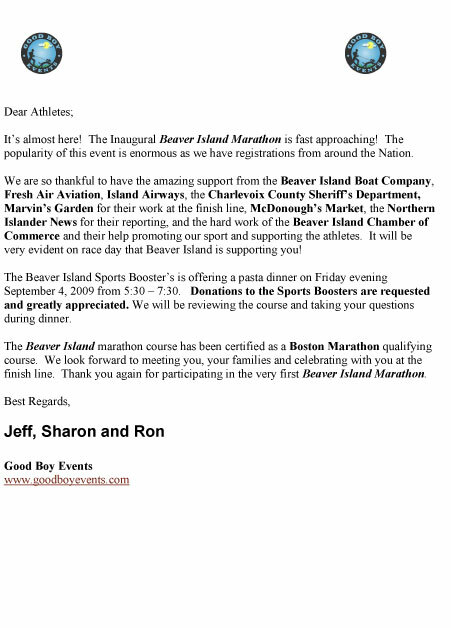 The dinner tonight is only for the marathon participants and NOT for the general Island population. The Island fund-raising dinner is scheduled for 9/24/09 at Nina's Restaurant at the Beaver Island Lodge from 5:30-7:30 p.m.
Dr. David Wartinger, urologist from MSU will again offer FREE prostate exams and blood work at the B. I. Rural Health Center on Monday, August 31st. Calling all men...What more can you ask for? It's FREE!! 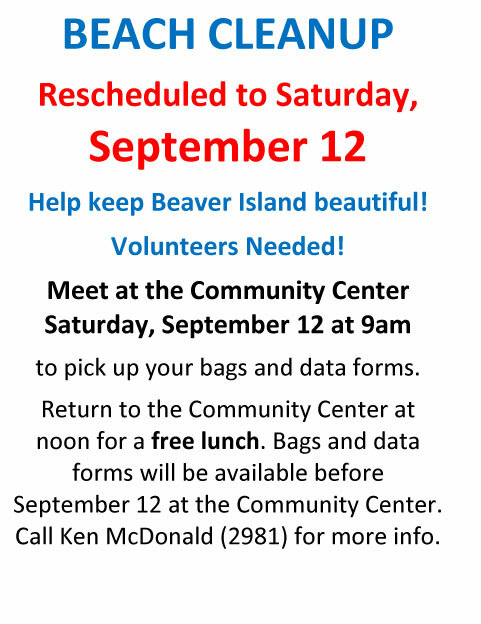 Beaver Island News on the 'Net and Beaver Beacon are two of the sponsors for this event. BINN wants to provide a method of donating to this event for those who are not able to drop off a donation at one of the sites mentioned below. BINN will also provide information here about the event while it is happening. Ken Bruland, owner and operator or Inland Seas Kayaking is paddling his kayak to raise money for the Beaver Island Christian Church Food Pantry. If you want to read more, please go to this link: http://www.beaverbeacon.com/paddle-for-food/ You can donate from a link on the Beacon page or come back here to donate. 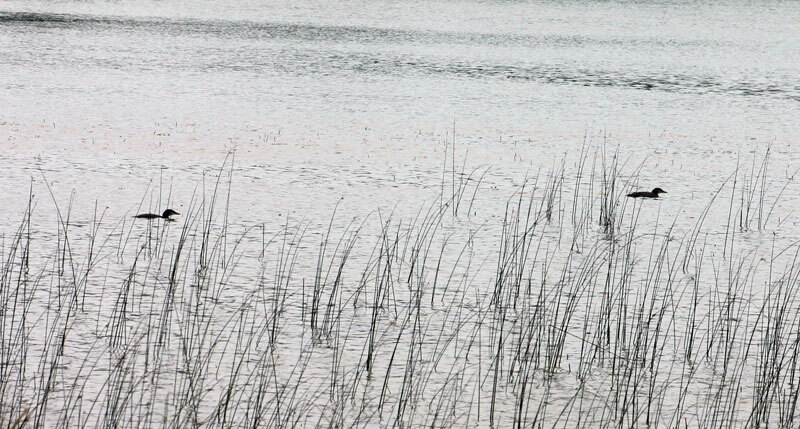 Through a cooperative effort of News on the 'Net with the Beaver Island Christian Church, you are able to donate money directly to the Beaver Island Christian Church Paddle for Food, the Beaver Island Christian Church Food Pantry, and/or the Beaver Island Christian Church Gregg Fellowship Building Fund from these website links below. You will be directed to PayPal and you may enter your donation amount and charge it directly to your credit card. You will be directed to an entirely secure website. The money will go directly into the Beaver Island Christian Church account. Only the Beaver Island Christian Church Business Manager Rick Speck will have access to this account. Use the first button below to donate to the Paddle for Food Event. Use the second to donate to the Food Pantry after the event. Use the third button to donate to the GFC Building Fund. Donation goes to the Christian Church Paddle for Food event-Click the Donate Button on the far left and above. Donation goes to the Christian Church Food Pantry--Click the Donate Button on the far left and above. Donation goes to the Christian Church Gregg Fellowship Center Building Fund--Click the Donate Button on the far left and above. 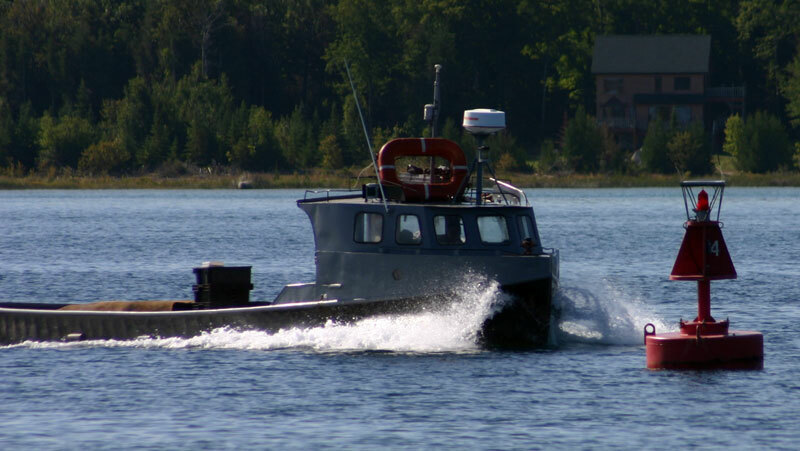 The Beaver Islander did not run on Saturday, August 29, 2009. Could it possibly have been due to the windy and stormy weather? A look out at the lake from Gull Harbor suggests that this might have been the reason, but no matter the reason, who would have wanted to be on the ferry on this kind of day? 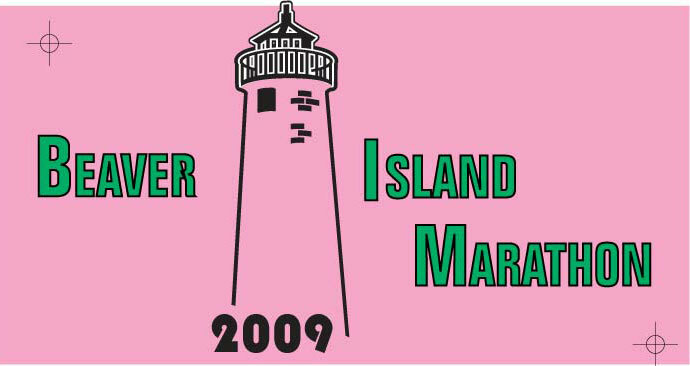 Island Treasures Resale Shop will be closed this Saturday September 5th for the Running of the BI Marathon. Thank you, Island Treasures Volunteer Staff and B.I.F.D.A. 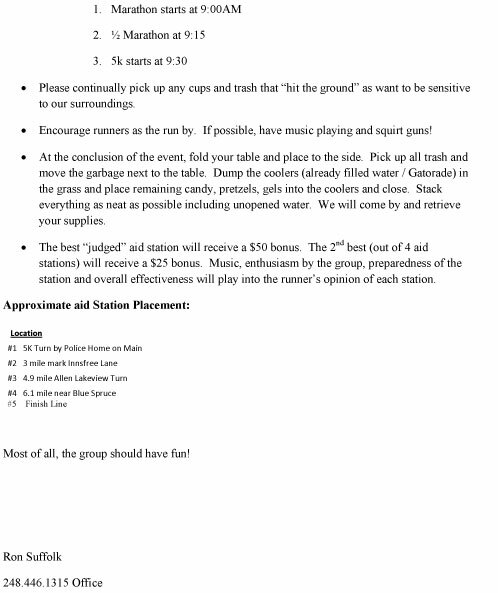 This is a reminder to everyone that this Saturday 9/5 is Hazardous Material cleanup. The time is 9-2 and appointments are necessary. They can call 448-2228 for information. 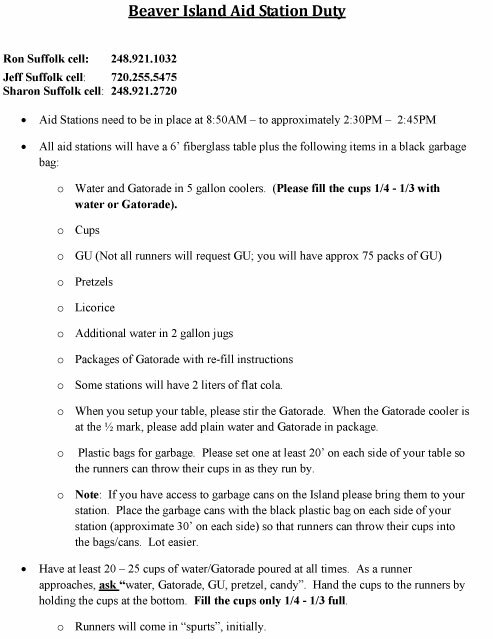 Iit is the same date as the marathon, but The Transfer Station has no control of the date. It is set by Charlevoix County. 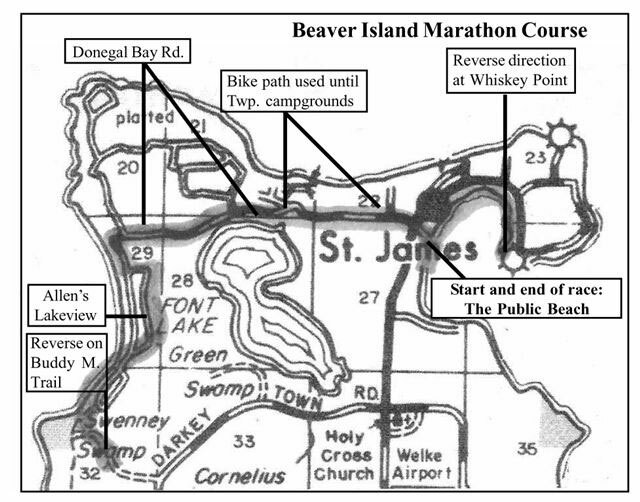 In early September about 650 visitors (270 runners) will begin arriving for the first Beaver Island Marathon. 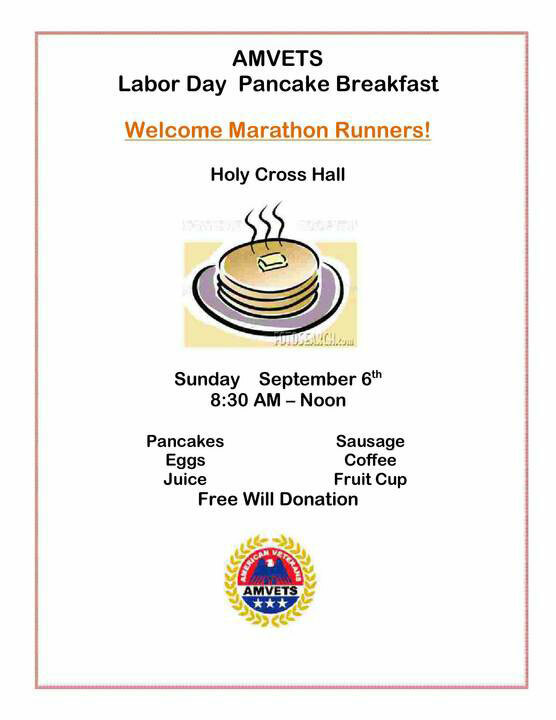 The Saturday September 5 th event will be run on public roads. We need every one's help to make this a successful and annual event. The event could not happen without the sponsorship of the Chamber of Commerce, Beaver Island Boat Company , Fresh Air Aviation , Island Airways , McDonough's Market and Ron and Sharon Suffolk's (Good Boy Events) willingness to make a “remote location” financial gamble on Beaver Island . The marathon course (see map) will not be closed to vehicular traffic. It's what we called a semi-closed course. Cone placement will encourage drivers not to use the roads the marathon will cover. The participants are aware that the course is not closed to traffic. Center-of-the-road cones will make drivers aware of the marathon course and to use caution. Please try to plan in advance so that it will not be necessary to drive on the marathon course between the hours of 8:00AM – 2:00PM on Saturday September 5 th . Also please don't park downtown on Main Street from 8:00AM – 10:00AM on Saturday morning. We want the runners to have full access to Main Street at the 9:00AM marathon start; 9:15AM half marathon start and 9:30AM for the 5K start. Let's work together to make our first marathon a big success. If you have any questions please give the Chamber of Commerce a call at (231) 448-2505. Thanks in advance for your help! 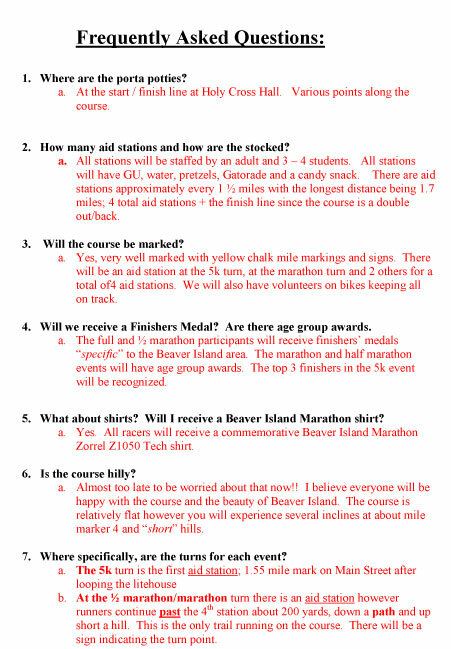 Here is the most recent Beaver Island Marathon NEWS direct from promoter Ron Suffolk. I hope you will give it plenty of advance and event day coverage. I will keep you posted as we move closer to the event. Currently 615 runners and family are slated to visit Beaver Island. Runners are (8-7 Noon) at 270. 3. Providing a watchful eye for those possibly facing dehydration, cramps or any other issues. Please let us or the EMT know of any problems you witness. We will have others on the course also watching for potential issues, also. As the race date gets closer I will call each of you to chat. 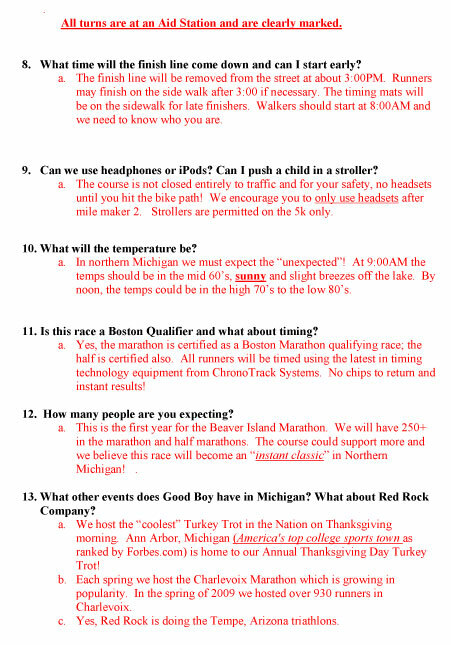 I have also attached 2 files: Aid Station duties and the other is the Athlete's Guide so that you will know what I am telling the runners. With a video camera and a small point and shoot camera, this reporter/photographer was ready to get into the Apache owned and operated by Island Airways..
With the fall league being one-third completed, there won't be a long time to report on this event. 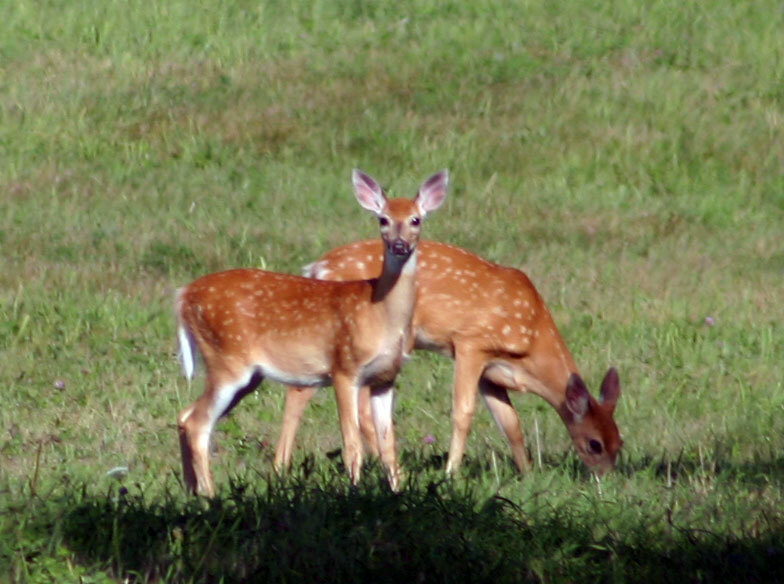 The first week of six weeks results were posted, and now the second week's results are in, just before Buck Ridgeway had to take a trip off the island. In Division One, summer league winners Larry Laurain and Joe Williams hold onto first place followed by Rob Latimer and Dan Merrimen (second), Jeff Mestelle and Ryan Smith (third), and Frank Solle and John Runberg (fourth). In Divsion Two, summer league runners-up Howard Davis and Joe Moore are in first place, followed by Chuck Carpenter and Ernie Martine (second), Ron Wojan and Jeff Powers (third), and Larry Kubic and Buck Ridgeway (fourth). The division leaders have a stroke average of 35 which will cause them to provide a handicap stroke or two to their opponents in week three. The other teams stroke average range from 38-43, which makes this next week very interesting. Commercial Fishing Continues on B.I. Skip Duhamel continues the commercial fishing around the Beaver Island Archipelago. 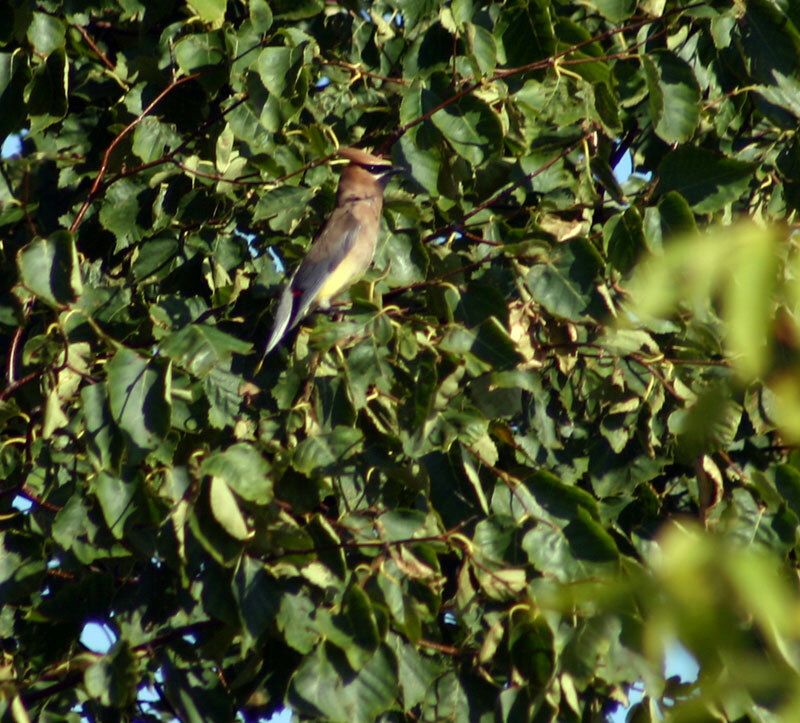 How is the commercial fishing effected by these and other birds? 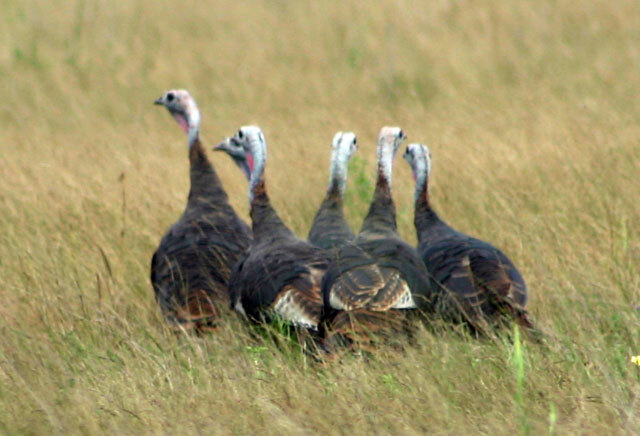 "I think this last year was the 13th," Trudy Works stated. 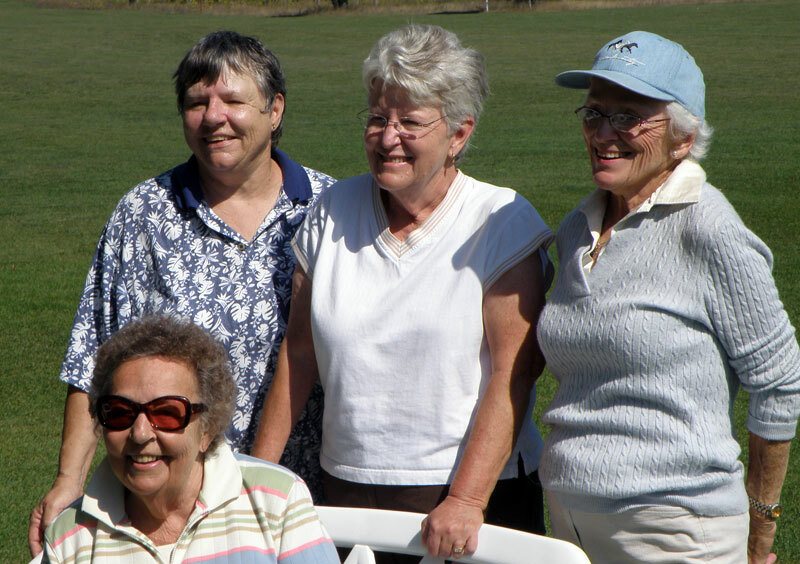 This year there were 18 players on 4 teams in this ladies' golf tournament. The winning score was 42 with two teams tied for first place. The team of Nel Worsfold, Florence Neumann, Doris Larsen, and Sue Welke tied the team of Sharon Scamehorn, Sandy Birdsall, and Mary K Dorais for first place. The only team available for photos at the end of the tournament were willing to have their picture taken. Trudy Works, the event organizer is also in this photo. 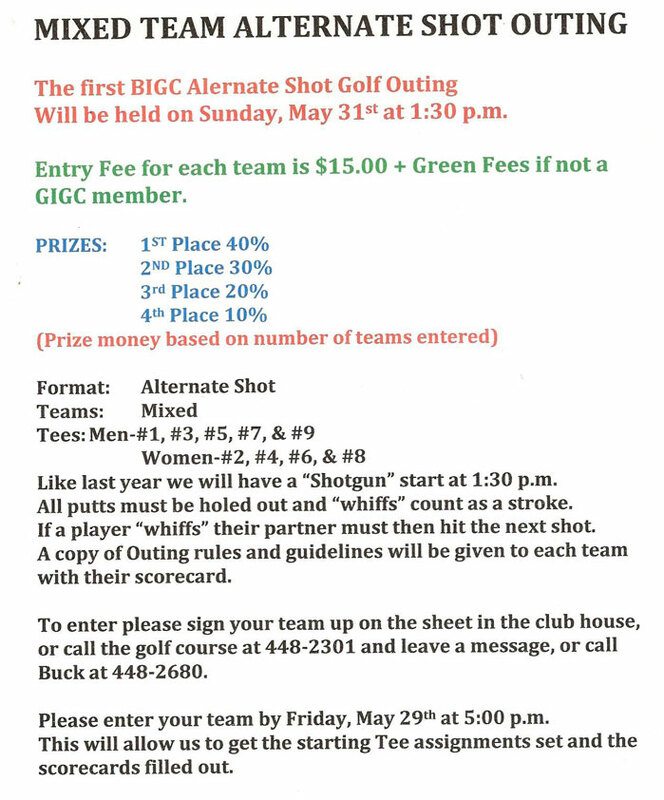 With the Beaver Island Golf Course in its best shape, many of the summer golf league players have signed up to play in a short six week golf league for the early fall. The league play began last Wednesday, August 26, 2009. With only one week's scores out of six, the standings of the eight two-man teams don't really mean much. They are, however, important to those participating, so a short explanation and listing will be presented here. There are two groups of teams called divisions. Since there are only six weeks of play, each team will not be able to play each of the other teams. Buck Ridgeway has worked out a good method of play, and everyone else agrees that it is a fair method. Everyone also agreed that the handicap method is what kept the league play interesting and competitive with each team having a chance to win. The majority of golfers just want to continue to play. At this point, Rob Latimer and Dan Merriman are team number one in Division 1, and Howard Davis and Joe Moore are team number 1 in Division 2. There are five more weeks of play to decide the fall league's winners. Want to Help the Sports Boosters? Beaver Island News on the 'Net has contacted the Beaver Island Sports Boosters, and we have decided to provide a special offer to help the Sports Boosters. For every new subscription received of at least six months, Beaver Island News on the 'Net will donate $10 to the Beaver Island Sports Boosters. This will be in addition to any other special offers presented. For every new business supporter, Beaver Island News on the 'Net will donate $30 to the Sports Boosters. For any renewal of subscription, Beaver Island News on the 'Net will donate $5 to the Sports Boosters as well. How'd You Get to the Island? Sunday, August 23, 2009, with sign in at 12:30, tee-off at 1 p.m.
Update: According to Manager Donna Kubic, the Outing made over $6000 for the BIRHC. The TDS DSL service to "St. James" (Beaver Island) was interrupted for the second time beginning Thursday afternoon. The service had been slow for a while and then just went out completely. Several patrons at the Beaver Island District Library were quite upset, but there was nothing to be done here on the Island. The problem was elsewhere again. The service resumed last night, Friday, August 21, 2009. 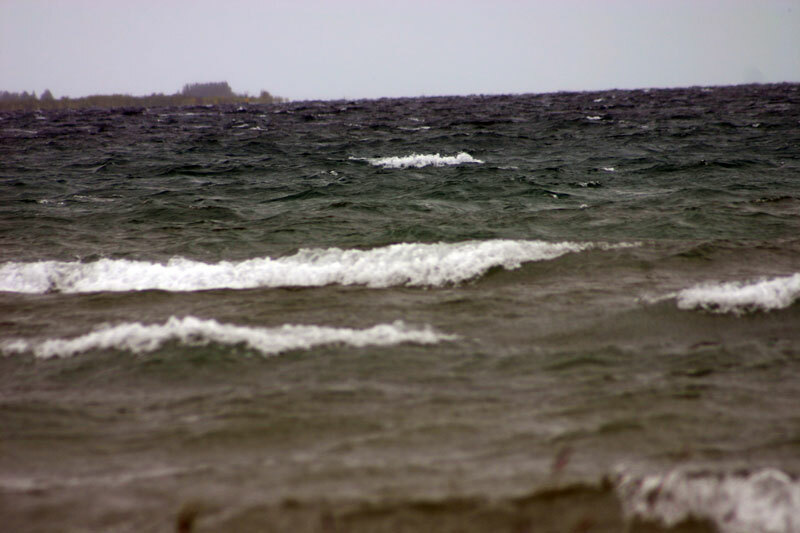 The Great Lakes Internet customers had no dial-up access, and the Beaver Island Community School had no Internet access from the TransWorld (Great Lakes) T-1 line on Saturday morning, even though the DSL began working for some TDS customers on Friday. The DSL was not restored to all customers on Friday night, and some had to wait until Saturday evening for service. The T-1 lines for Great Lake's BICS and CMU are still down as of Sunday morning, August 23, 2009. There were also rumors of phone lines not working and a period of time when the long distance was not working for some customers. Hopefully all has been restored for the phone lines. The telephone lines are still messed up as of Monday, Augsut 24, 2009, at 3 p.m. The long-distance does not seem to be working at this time. This means that 911 service to the Island has been interrupted. If you are unable to get the 911 emergency number to work, you can call the 448-2319 phone line which rings into McDonough's Market, the Fire Chief's home, and the home of other firemen. They can get on the emergency radio channels and notify whoever needs the information. Be sure to mark down this back-up emergency number! According to the 911 dispatch center, the local 911 service is back and is working as of August 24, 2009, at 7 p.m. There still seems to be some spotty outages of telephone and long distance services. The Great Lakes T-1 that services all of the dial-up customers, and the BICS email, is not, however, working at this time. According to the Great Lakes technical support center, "a part has been shipped on Monday using Overnight UPS." Once that part arrives, a technician will install it, and hopefully the Great Lakes T-1 will be back up and working for dial-up customers. After approximately three hours of work including testing of the equipment by a technician, the Great Lakes Internet was not working as of today. The problem does not appear to be one of the equipment owned, operated, and maintained by Great Lakes Internet by TransWorld Corporation. The issue appears to be one of the T-1 line between the Island and somewhere on the mainland. The bottom line is that no Great Lakes dialup is available and the BICS email service is not working. Some residual long distance problems stil exist also. After TDS, AT&T, and TransWorld Great Lakes Internet got communicating, the problem was isolated and resolved at about 1 p.m. Wednesday, August 26, 2009. Dialup customers should be back working and the BICS email should also be working! The 911 phone service was out this morning for a couple of hours. There is still a situation with the phones that hopefully has now been resolved. As of 10 a.m., Central Dispatch in Petoskey reported that 911 service to Beaver Island was back up and working. Believe it or not, the T-1, the DSL, and the dialup for Great Lakes are working with no outages since Friday the 28th. Even the cellphones seem to be working okay. What is interesting is that all of this goes through one microwave tower on Sloptown Road to one location on the mainland, but there are three companies involved when researching the dialup, and each company plays off the other company, blaming the others. The only way to get it fixed is to get each company talking to the other two companies. After installation of a completely new set of equipment routers and switches for TransWorld, thus making the error not possibly with their equipment, the other two entities, TDS and AT&T decided to start talking to resolve the issue. The losers were Island dialup customers that were without access for five days. What is this barge doing? Click HERE for pictures and story. Mark your Calendar! Everyone Welcome! The Beaver Island Christian Church invites everyone in the whole community to a pot-luck supper on Wednesday, September 23, 2009, at 6 p.m. at the Gregg Fellowship Center. This pot-luck is a "Welcome to Beaver Island" for Pastor Ed Campbell, the new pastor for the Beaver Island Christian Church. Everyone is welcome to attend! Please bring a dish to pass. Beverage and table service (dishes and silverware) will be provided. 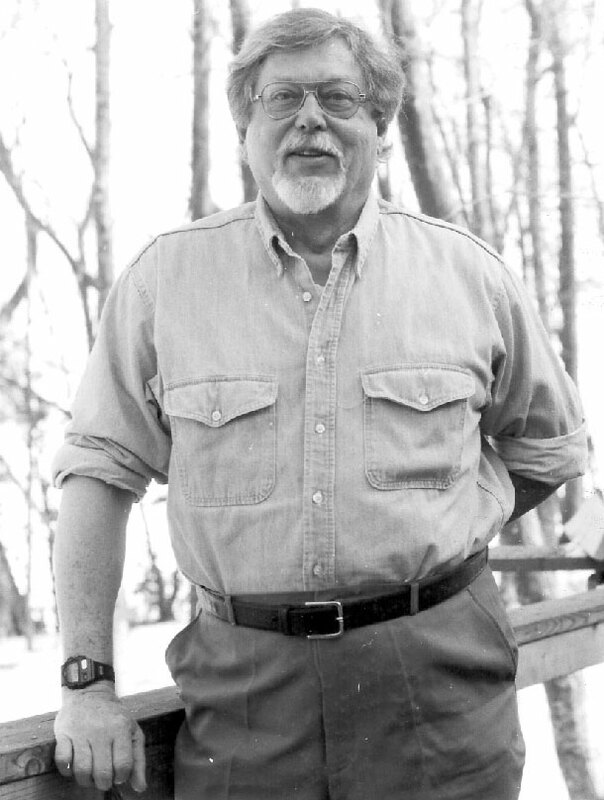 Join family and friends in celebrating the life of Dr. Philip Lange. 9/15 and we'll scan and share those, too! Phil desired a good ole' Island Potluck so look for sign-up sheets at McDonough's in September! 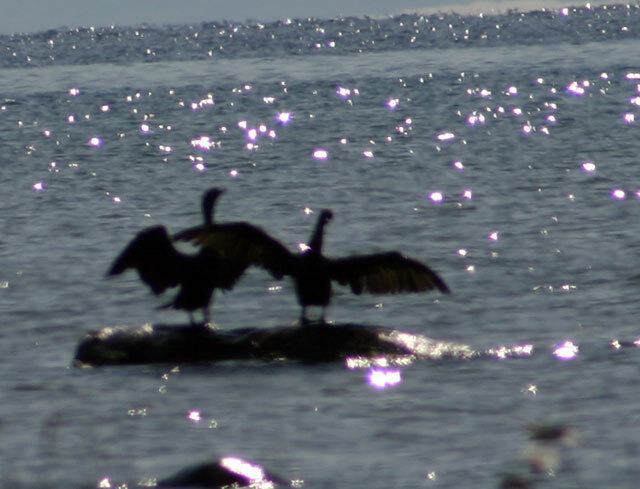 Two loon "babies" continue to surive on Barney's Lake on August 16, 2009. 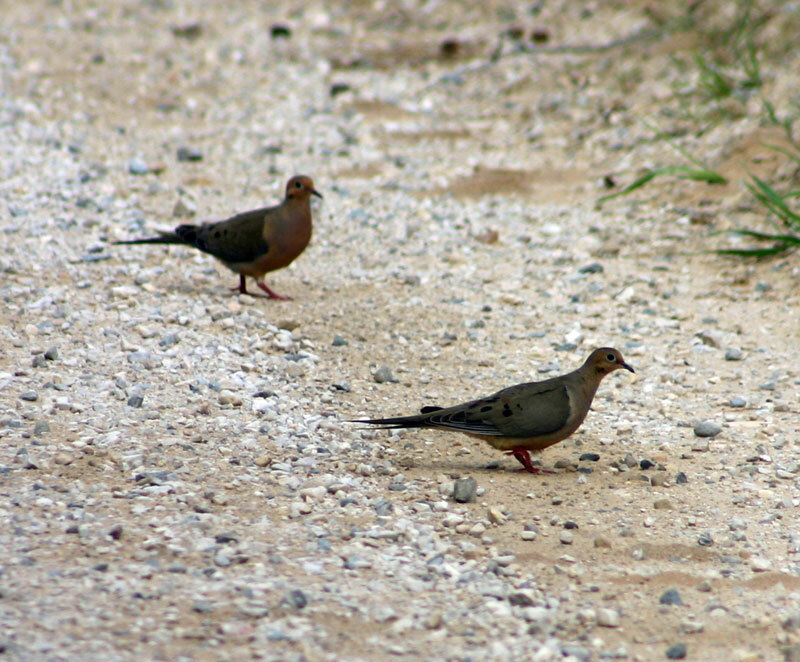 Doves and Turkeys along Sloptown Road..
ALL SHORT,CAPRI'S, SHORT SLEEVE AND SLEEVELESS SHIRTS AND T-SHIRTS ON SALE FOR $1.00 EACH. SALE LASTS UNTIL THE END OF AUGUST. WE ARE ALSO NOW ACCEPTING DONATIONS OF FALL AND WINTER ITEMS. THANK YOU, RESALE VOLUNTEER STAFF AND B.I.F.D.A. 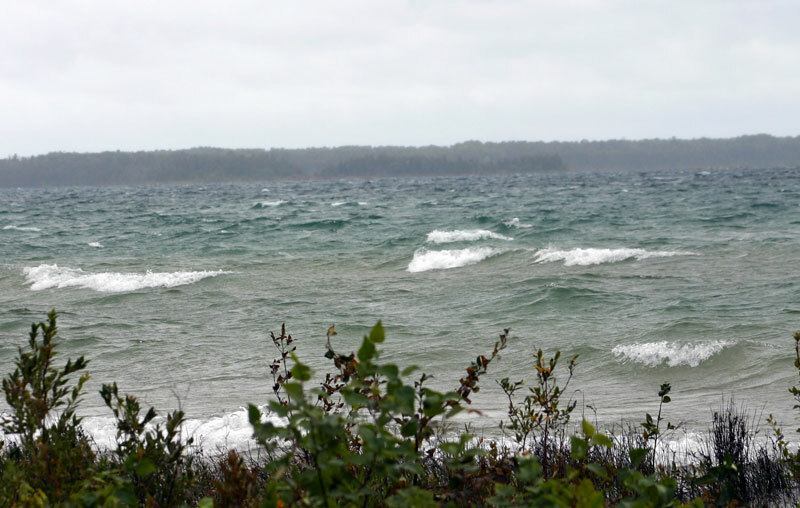 The old BIIP dial-up, taken over by Great Lakes and managed by TransWorld Network, Corp., will end service on Beaver Island. Below is a copy of an email received by one of BINN's subscribers. Once you have transitioned service to another provider, please contact us so that we may terminate your account and mail you a final adjusted invoice. be mailed a final prorated invoice for this service. If you currently have an email address through TransWorld Network, Corp., your email account will remain active for 1 year at no cost to you. Friday between the hours of 8:00 am and 10:00 pm EST or Saturday between the hours of 8:30 am and 5:00 pm EST. Part of the website cost goes to providing the format and access to FREE classified Ads. Some have used them very successfully. As a subscriber to this website, you get free classified ads posting for all subscribers to read. The classified ads are one of the perks for being a subscriber. Please check them once in a while, and please use them. Door Prizes, Raffles and Entertainment! and come make us laugh!